Luke Pritchard (vocals/guitar), Hugh Harris (guitar), Peter Denton (bass), and Alexis Nunis (drums) generate the peppy garage rock sounds of the Kooks. 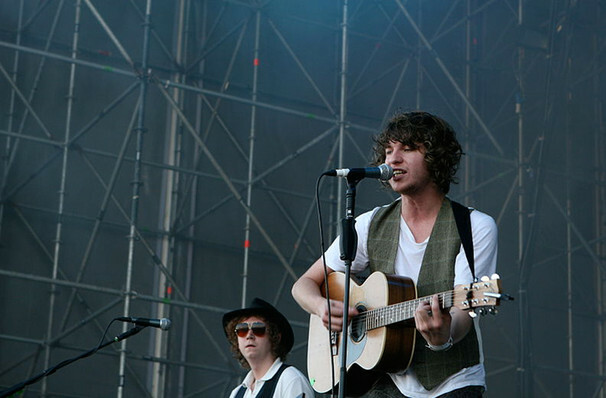 Named after the song on David Bowie's Hunky Dory, the Kooks met while attending Brighton Music College in the mid-2000s. Each shared a liking for the Police, the Strokes, the Everly Brothers, and Funkadelic, and the bandmates began funnelling such influences into their own sweet and precocious sound in 2005. Since then they're produced four albums, and some of the best known British indie rock tracks of the past decade, including 'Naive,' 'Ooh La,' and 'She Moves in Her Own Way.' They're all collected on the bands new Best Of...So Far compilation, which they're touring across the States in 2018! Sound good to you? 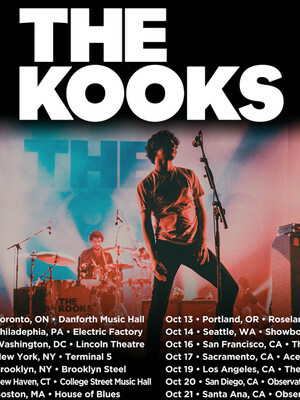 Share this page on social media and let your friends know about The Kooks at New Daisy Theatre. Please note: The term New Daisy Theatre and/or The Kooks as well as all associated graphics, logos, and/or other trademarks, tradenames or copyrights are the property of the New Daisy Theatre and/or The Kooks and are used herein for factual descriptive purposes only. We are in no way associated with or authorized by the New Daisy Theatre and/or The Kooks and neither that entity nor any of its affiliates have licensed or endorsed us to sell tickets, goods and or services in conjunction with their events.